Around 4.7 million European women give birth each year. Despite the strong evidence for midwifery-led care and midwifery units, most EU countries still offer women very limited choice regarding place of birth and lead practitioner, with referral to an obstetric unit being the mainstream option. In many EU countries obstetric units are in fact the only available birthing setting. Against this background the UK has been leading research on midwifery-led settings and we have remarkable capacity to collaborate internationally to share best practices as well as benefit by widening our horizons. At City University of London, led by Prof McCourt, we have been co-investigators in the Birthplace in England Programme, which underpinned the choice of place of birth recommendation in the NICE intrapartum guideline (2014). More recently we have been co-investigators on a NIHR project on MUs led by Associate Professor Denis Walsh. Lucia Rocca-Ihenacho is also currently conducting an NIHR Knowledge Mobilisation Fellowship in order to develop strategies for increasing the number of births in midwifery-led settings. At EU level, a project led by Professor Soo Downe called ‘Childbirth Cultures, Concerns, and Consequences: Creating a dynamic EU framework for optimal maternity care’ is already laying some foundations for the improvement of outcomes and experiences for women having straightforward pregnancies. Our vision is to improve women’s health by ensuring that midwifery units become mainstream rather then an alternative. The MUNet will build bridges between researchers, service users and providers, organisational managers and commissioners, engaging all those who are implementing or improving the performance of a Midwifery Unit or lobby for the existence of MUs in first place. The Midwifery Unit Network (MUNet) aims at building on existing research evidence, philosophy, leadership, knowledge and skills in order to share and grow stronger together. The MUNet Europe has already had an impact by developing groups in Spain, Italy and the Czech Republic and planning to expand its network of European network gradually. We have supported events in England, Italy and Spain and currently undertaking a staff development need assessment. Agree an European definition of Midwifery Unit. Start a consensus exercise on Midwifery Unit operational procedures, which can be used in all EU countries. Identify key partners and lead organisations for the EU applications. Identify potential pilot Midwifery Units to be implemented in the partner countries. Start developing country-specific strategies to overcome the challenges. Following the very successful event in London we co-hosted an event in Genoa (Italy) in April 2016 and one in Tarragona (Spain) as part of the ICM Southern Europe conference in May 2016. As part of our European strategy we plan to apply for EU funding in order to build on existing expertise and develop leadership and research capacity. The funding will help expanding the existing network and provide vital resources to support travel expenses and the facilitation of training across Europe. NETWORKING-Create an European community of practice to support existing MUs, lobby for the creation of new ones and influence policy. TRAINING-Philosophy, Knowledge And Skills development via the MUNet Academy. LEADERSHIP- Developing leadership capacity within MUs. RESEARCH- Developing research capacity on MUs. CONSULTANCY- Supporting teams establishing MUs or improving existing ones in the field. 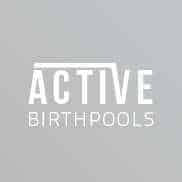 Enormous gratitude to City University London, and Active Birth Pools for sponsoring this event.